Sullivan Building & Design offers replacement window installation with a focus on energy-efficient replacement windows, the local home construction and design company has announced. 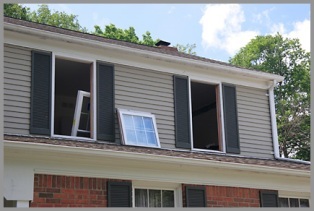 The announcement also included details about the replacement window installation process. Sullivan Building & Design indicated that their installations are, for the most part, completed in one day. The local company also includes in its information about the window replacement process their assurance that they are able to fit all replacements in the existing window opening. Furthermore, Sullivan Building & Design has noted that they measure and install the replacement window units themselves without using a third party or sub-contractor for that portion of the work. Sullivan’s announcement also discussed the benefits specific to their energy-efficient replacement windows. The windows, the company states, have the potential to save customers up to 50% on energy bills by reducing the degree to which a home’s heating and cooling generation is lost due to inefficient windows that allow air to escape. Sullivan’s announcement adds that the standard window units they install are Energy Star Rated and that their performance compares favorably to major brand units. Beyond energy efficient, the construction company’s announcement noted that the replacement windows are easy to operate and clean. An excellent warranty on the replacement windows has also been advertised by the company, as well as a free quote for customers interested in the products. Potential customers can request the free quote on the company’s website. Among the styles of energy-efficient windows available, Sullivan Building & Design’s announcement listed Interstate Building Products, Anderson, Pella, Marvin and Thurma-Tru as among those offered and those that the company has installation experience with. The details of Sullivan’s energy-efficient window service announcement also include information about their window repair services, as well as their window wrapping services. Sullivan mentions that their repair experience includes replacing particular parts of windows as well as experience repairing most major window brands. Their window wrapping services are intended, according to their posting, for customers who might seek an aluminum coil wrapping as an alternative to the cyclical repainting of a window’s exterior wood. Serving Talbot County for over fifteen years, Sullivan Building & Design is a construction, building and design company with 75 years of combined industry experience. The company works with customers at every level of possible project and every stage of a process. Sullivan has experience building new homes, building new additions onto existing homes, installing or replacing doors and windows as well as creating and installing custom cabinetry.